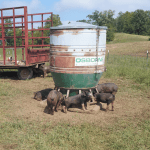 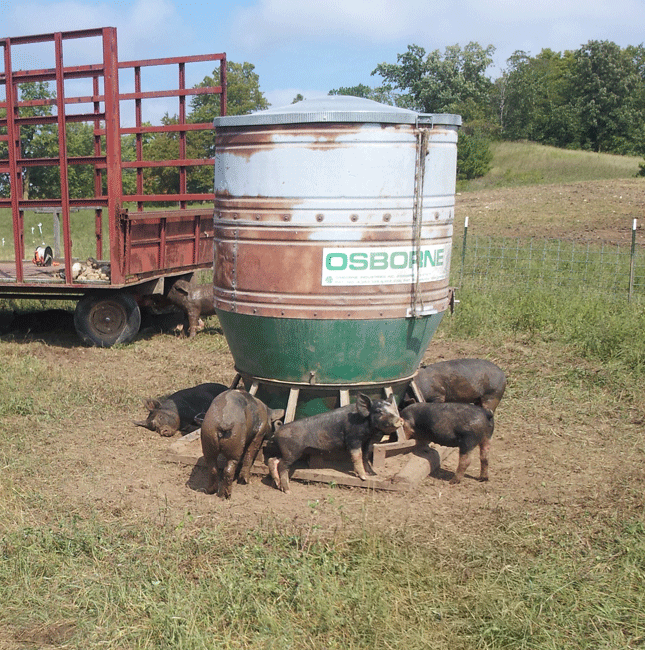 Pigs turn a multi-spoke feed wheel in the bottom of the round feed trough. 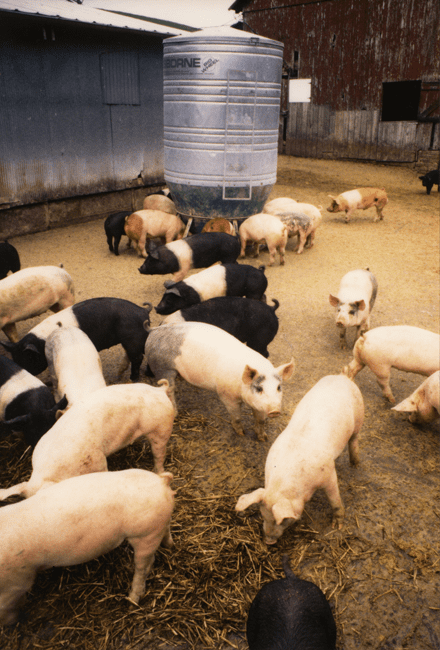 A feed sweep, located inside the bottom of the hopper and attached to the feed wheel, sweeps feed past the cone and out of the hopper. 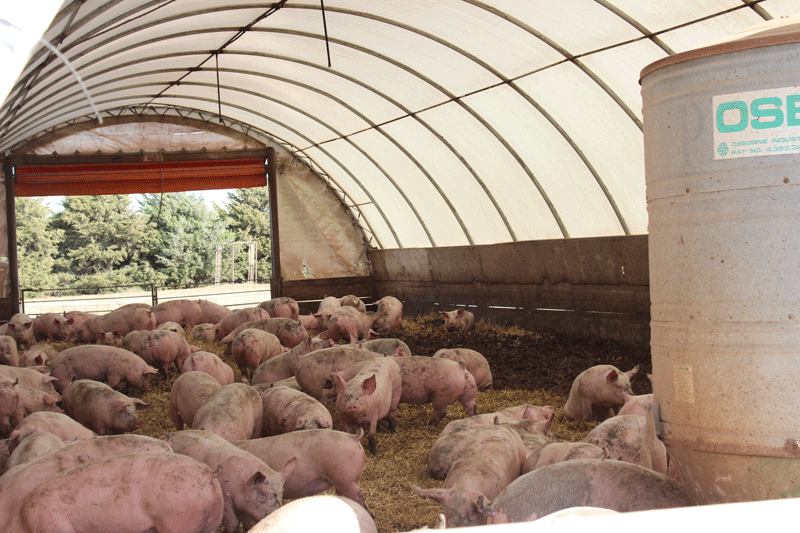 Bump bars located inside the hopper agitate the feed to keep it moving. 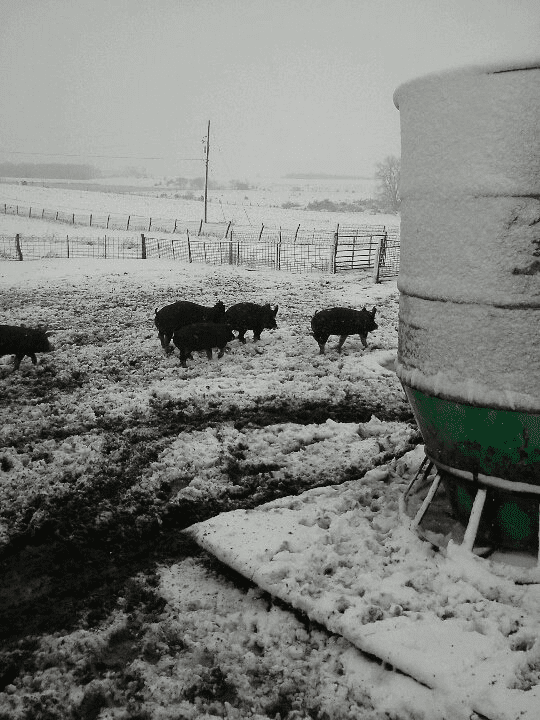 Feed falls through the center hole into the trough, where the feed wheel dispenses it to the pigs. 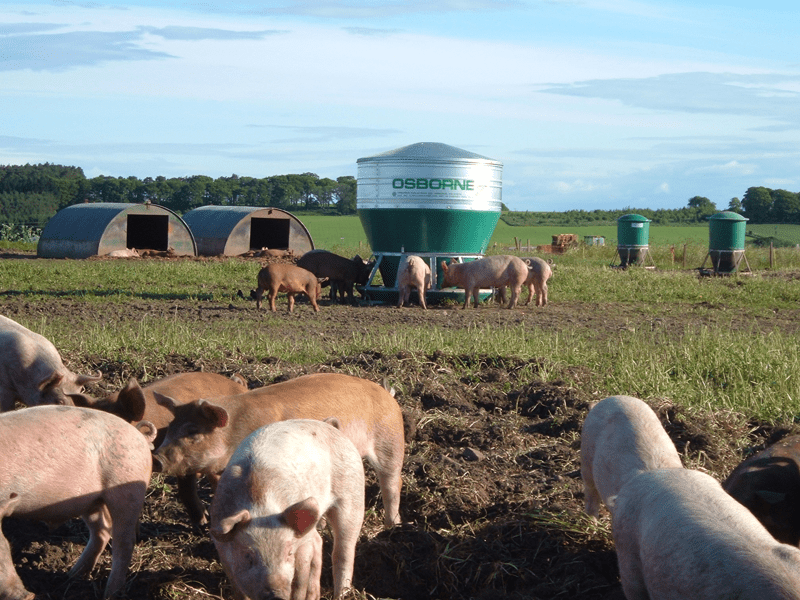 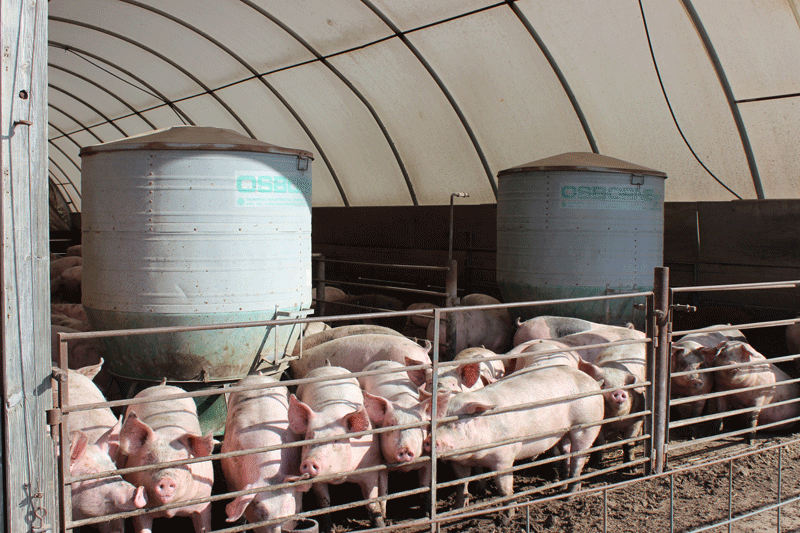 Feed stops flowing when pigs stop moving the feed wheel, radically reducing waste. 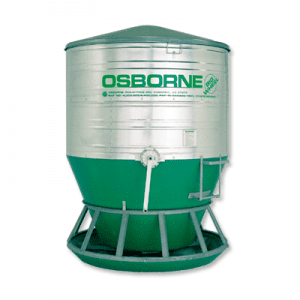 Osborne Big Wheel feeders are available in Nursery, Wean-to-Finish, Finishing, Outdoor and Ad-lib sow models.